Science, Language & Arts International School is an independent school focused on hands-on science, arts, and math and committed to providing children with a rich and rigorous multilingual education in French and Mandarin. 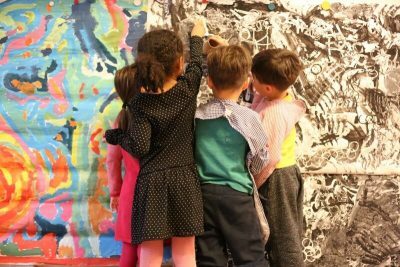 Since its founding in 2011, SLA has grown in grade levels, language tracks offered, and campuses, with locations in both Downtown Brooklyn and Carroll Gardens. By 2024, it will serve students Nursery to Grade 8 in both French and Mandarin. SLA is an anti-bias school. We admit students of any race, color, national or ethnic origin, gender identity, or creed to all the rights, privileges, programs, and activities generally accorded or made available to students at the school. SLA does not discriminate on the basis of race, color, national or ethnic origin, gender identity, or creed in administration of its educational policies, admissions policies, scholarship and loan programs, or other school-related programs.